The pharma company will leverage Concerto's artificial intelligence-powered analytics capabilities to gain better oncology insights. Pfizer is working with Boston-based Concerto HealthAI for a collaboration that will apply Concerto's eurekaHealth artificial intelligence technology to precision oncology research. The partnership will use the AI platform to gain faster actionable insights for Pfizer‘s investigational therapies and commercialized therapeutics for treatment of solid tumors and hematologic malignancies, officials said. Romesh Wadhwani, executive chairman of Concerto HealthAI said his company's technology would be valuable to Pfizer in "finding and acting on meaningful insights in key cancer subpopulations." Much of the data for the initiative will come from clinical practices participating in the American Society of Clinical Oncology’s CancerLinQ initiative; researchers will explore potential study designs for real-world data to develop therapeutics that are both pre- and post-approval, according to Concerto HealthAI, building on similar work done in collaboration with the U.S. Food and Drug Administration. A joint steering committee from both companies will oversee the work, with initial research expected early next year. More and more pharmaceutical companies are turning to AI to help them with the data-intensive and variable-rich task of drug development research. As these pharma organizations chart new innovations in drug discovery and clinical trials, however, patient safety demands that the profusion of data that's reshaping the research process is optimal for the algorithms being deployed. 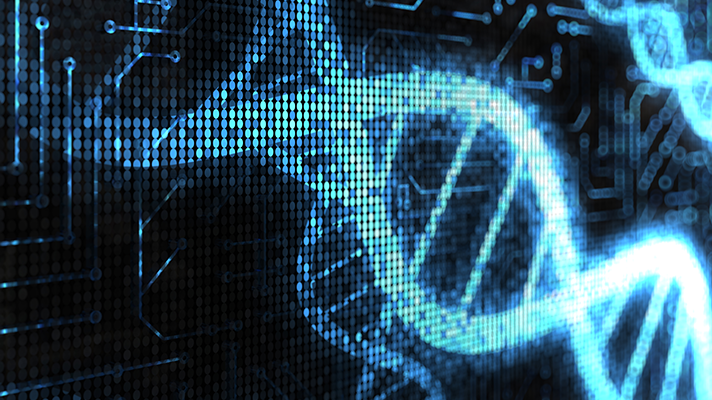 On the provider side, meanwhile, those hospitals and health systems looking to enhance their own precision medicine initiatives with AI applications also need a sound strategy for data integrity. "We have to have a level of scientific rigor before we just start throwing these things out to the population," said Dr. Richard Milani, chief clinical transformation officer at Ochsner Health System, in 2018. "We just have to do our due diligence in terms of making sure this has been validated in multiple systems." "Pfizer believes real-world data have tremendous potential to inform how we develop and use medicines to improve patient outcomes," said Dr. Chris Boshoff, chief development officer for oncology at Pfizer Global Product Development. "We are pleased to work with Concerto HealthAI – to accelerate insights and outcomes studies that may lead to a more comprehensive understanding of patients’ experience with our medicines." "This collaboration aims to find and help patients who may benefit from new therapeutic combinations,” added Jeff Elton, CEO of Concerto HealthAI, in a statement, noting that the company's expertise with real-world data science and outcomes research will help "identify new and more precise treatment options, refine study designs and speed up the completion times for various outcomes studies."